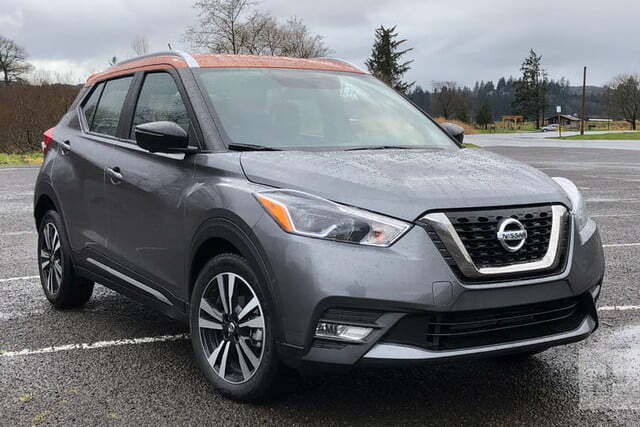 The 2019 Nissan Kicks is affordable, useful, and enjoyable to drive and own. Every once in a while, we get a review car that we really don’t want to give back at the end of our time with it. 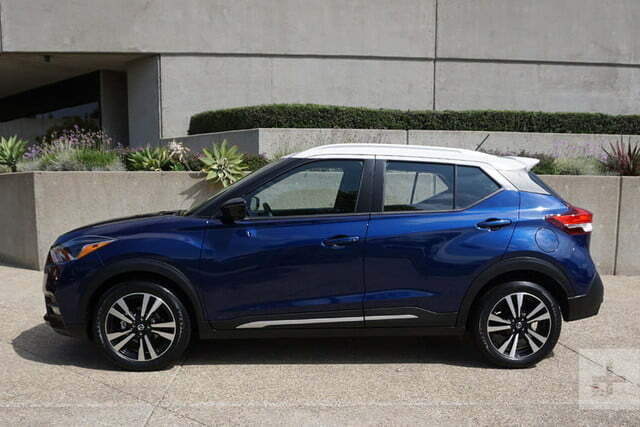 A case in point is the 2019 Nissan Kicks. This crossover hatchback is the successor to the funky-cool Nissan Juke, but it’s a very different take on the same concept. 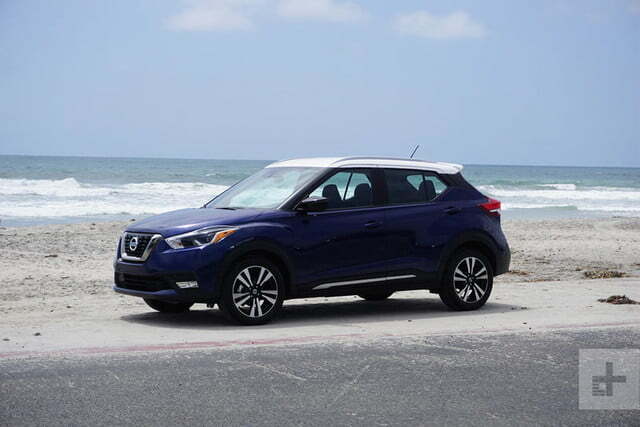 Where the Juke had available all-wheel drive (AWD) and even a hot-rodded NISMO sport edition, the Kicks is part of the new class of low-cost subcompact SUVs offered only with front-wheel-drive (FWD). Other entries in this category include the Toyota C-HR and the Ford EcoSport. The Kicks comes in three trims levels: S, SV, and SR. You can think of these as good, better, and best. Each has a little bit more in terms of tech and appearance features. The trim walk is so close in price that there’s hardly a good reason not to go straight to the top. The basic S starts at $19,585 inclusive of all fees, and the top SR trim is only $21,915. You can also order the SR Premium Package for an additional $1,000, and that adds the Bose premium audio, Prima-Tex upholstery, an alarm system, and heated front seats. Adding a premium paint job and a set of floor mats brought our as-tested price to $23,330. If you squint, you can see the family resemblance to the Juke in the Kicks. 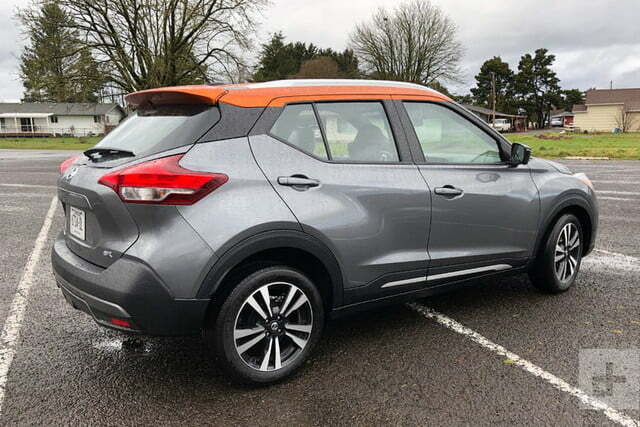 We always liked the Juke’s rakish looks, but apparently the buying public failed to find its appeal, so the Kicks is a little less avant-garde and looks more in line with the rest of the Nissan crossover family. The Kicks is a good-looking crossover and if you spring for the $200 optional paint job, it’s still a head-turner. If you step up to the top SR trim, the Kicks comes with LED headlights and a roof-mounted spoiler. When you slide behind the wheel, the Kicks feels bigger than it really is. You’ll get plenty of headroom in the front seats, which really increases the sense of space. The rear seats are OK. We wouldn’t want to ride thousands of miles back there, but the so-called Zero Gravity fronts could absolutely go coast to coast. 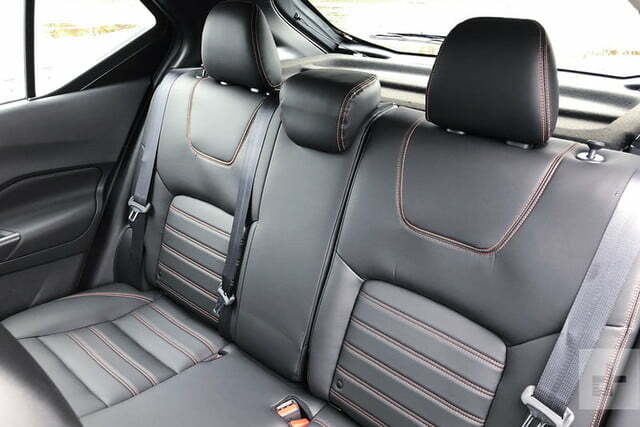 The optional Prima-Tex is an impressive form of leatherette, and the front seats were heated. That’s two points in favor of the extra option pack. This crossover hatchback is the successor to the funky-cool Nissan Juke, but it’s a very different take on the same concept. 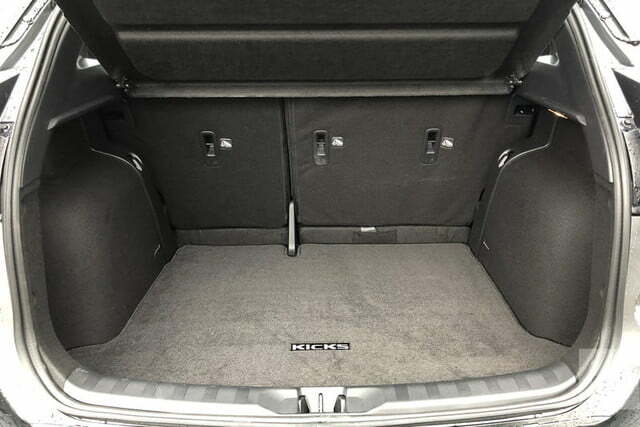 You can stuff 25.3 cubic feet of cargo behind the rear seats. Fold down the rear seats and there’s 32.3 cubic feet available. The Kicks features a large rear hatch, which makes cargo easy to load and unload. In comparison, the C-HR offers only 19 cubes with four adults, but that figure swells to 36.4 with the rear seats folded flat. 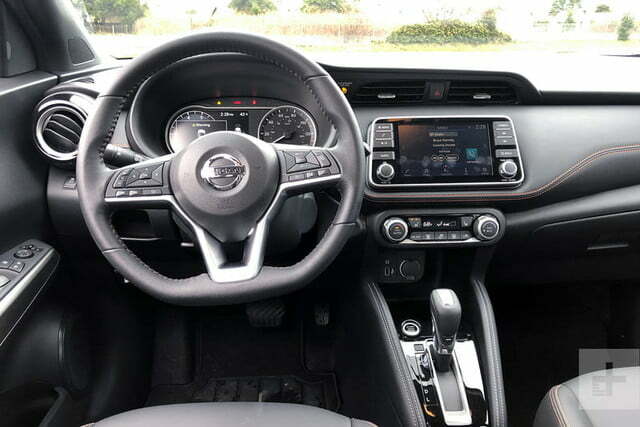 Nissan provides a 7.0-inch touchscreen display with its Nissan Connect infotainment system, Siri Eyes-Free, Bluetooth phone support, and a basic rear-view camera in all trims. If you select the SV or SR trims, the Kicks supports satellite radio, plus Android Auto and Apple CarPlay. Toyota’s C-HR received CarPlay for the 2019 model year, but Android users are still out of luck. You also get the 7.0-inch Drive-Assist digital driver information display in both trims, and SR models offer a 360-degree camera system. 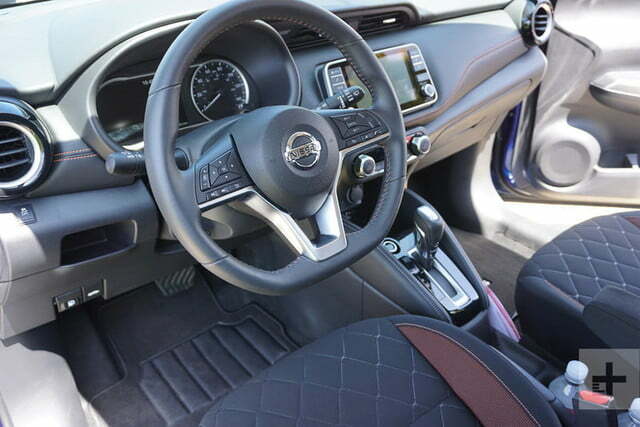 The Nissan Connect interface is simple to use, with a stack of buttons and two knobs on either side of the touchscreen to access commonly-used functions. In a small car like the Kicks, the 7.0-inch screen is easy to reach use without stretching, which is an important driver safety consideration. Nissan located the auxiliary port (on the off-chance that anyone actually still uses that) and the USB port conveniently ahead of the shifter at the bottom of the center stack. That makes them easy to access, but it does tempt you to clutter the console with your phone instead of stashing it in a console bin. The SR Premium Package, available for $1,000 on the top trim, adds the eight-speaker Bose sound system and a security alarm. 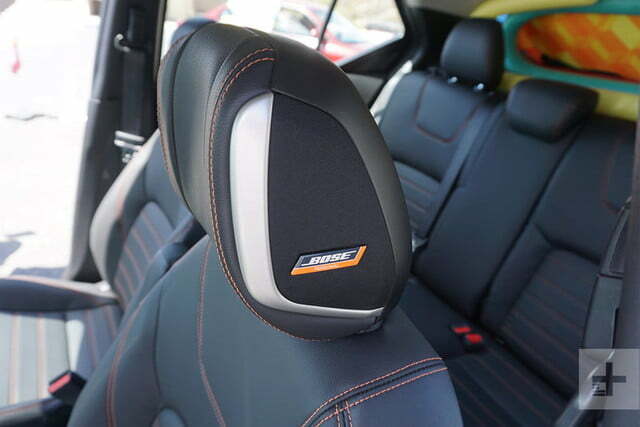 The Bose system comes with UltraNearfield headrest speakers for the driver’s seat, and those do sound very good. Overall, the tech package in the Kicks is simple and effective. In terms of equipment and available features, it’s on par with the competition. The only thing missing is onboard navigation, assuming you’re one of the few people in America still holding onto your flip-phone. Apple CarPlay and Android Auto compatibility makes getting directions on the dash-mounted touchscreen a as easy as punching in a destination and plugging your phone into the USB port. The performance specifications won’t cause any jaws to drop, but they also don’t tell the whole story. The Kicks uses a 1.6-liter engine rated at a modest 122 horsepower and 114 pound-feet of torque. Shop at the Toyota and the C-HR offers 144 hp and 138 lb-ft. of torque. 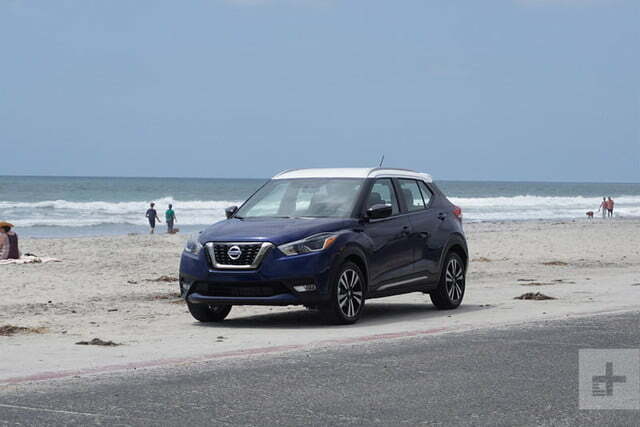 Equipped with Nissan’s Xtronic continuously variable transmission (CVT), every Kicks regardless of trim level returns 31 mpg in the city, 36 mpg highway, and an average of about 33 mpg. The performance specs on the Kicks won’t cause any jaws to drop, but they also don’t tell the whole story. Yet for all that, the Kicks isn’t slow. The power is well-used by the CVT and the Kicks has no trouble getting onto the freeway or pulling up a hill. The Kicks responds right away to throttle inputs, and the CVT feels solid and predictable. Because it’s designed with FWD in mind, there are no compromises in the suspension or driveline, so the Kicks handles more like a hatchback. The lack of AWD is the critical objection to overcome. Many people think they need AWD, especially in the winter. But the fact is that with modern traction and stability control systems, a FWD vehicle with a good set of winter tires will get most motorists everywhere they need to go. As the Kicks proves, the cost savings at purchase time and in fuel economy can be significant. Nissan has also included some key features from its intelligent mobility suite with the Kicks. The vehicle includes hill start assist to stop rollbacks, active ride control to smooth out bumps, intelligent trace control to deliver sharper steering response in corners, and intelligent engine braking through the CVT for smoother stops. Through a full week in the Kicks, we enjoyed it more every day. Hopping into the Kicks for a quick trip to the store or a two-hour drive through the mountains was a treat. That’s rare and unusual for an entry-level vehicle, but we found the Kicks just works well for all day-to-day purposes. Direct competition for the Kicks includes the 2019 Kia Soul and the Toyota C-HR. We picked these two in particular because they are exclusively front-wheel-drive vehicles. When AWD-capable competitors are included, buyers may also cross-shop the Ford EcoSport, Honda HR-V, and the Mazda CX-3. Hopping into the Kicks for a quick trip to the store or a two-hour drive through the mountains was a treat. Of the two direct competitors, the Kia beats the Kicks on base price at $18,485 and offers a 6-speed manual transmission. However, if you specify the Soul with a CVT, the price jumps to $19,985. The Toyota starts higher at $22,090. One key difference is that you can upgrade the Soul all the way to the GT-Line Turbo model with 201 horsepower and 195 pound-feet of torque. Of course, that one costs $28,485, so it’s a big jump. All of the competing vehicles offer about the same performance at about the same price point, so it’s really going to come down to which one you like the best. Nissan covers the 2019 Kicks with a three-year or 36,000-mile basic warranty, and a powertrain warranty of five years or 60,000 miles. Nissan generally has a good record for producing quality vehicles, and repairs are not more expensive than with other brands. When it comes to safety, Nissan has kept things basic. Every Kicks includes all the mandated safety items like a full set of airbags, plus traction and stability controls and automatic emergency braking. The top SR trim adds the 360-degree camera system, and both the SV and SR trims add blind spot monitoring and rear cross traffic alerts. If we were shopping the Kicks, we’d go straight to the top of the trim line, and we’d add the Premium package to get the Bose sound system and the heated seats. The reasoning is simple: the price difference just isn’t large enough to make the lower trims attractive. While the base and SV trims are still good choices, a few extra dollars a month is a bargain for the additional features like the 360-degree camera, blind spot monitors, and the better sound system. You can’t upgrade the Kicks with a hot rod engine or luxurious interior, so you might as well take the conveniences. 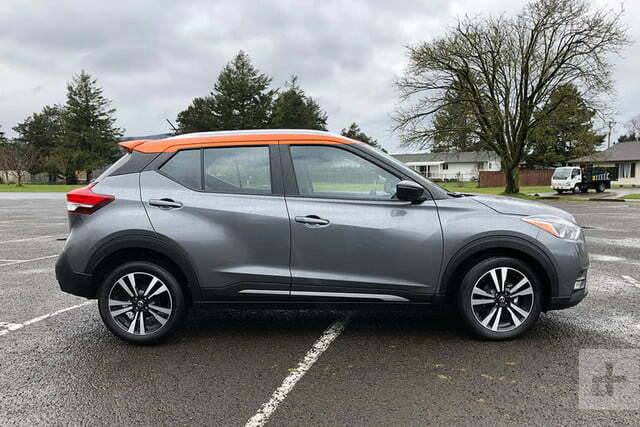 The 2019 Nissan Kicks is small enough to be nimble, and big enough to be usable. With the optional Bose stereo playing your tunes, the Kicks is also a pleasure to drive around town, on the highway, or through the hills. Through it all, you’ll be laughing because the Kicks is also one of the best values available on the market. You can easily spend twice as much and get only a fractionally better vehicle. Yes. The Kicks is a great deal on a great car. Whether you call it a tall hatchback or a crossover SUV, this is a vehicle you can live with and enjoy every day.